Actor Sam Heughan took time to chat with fans on the anniversary date of his casting announcement (below is what Diana Gabaldon posted on her Facebook page). 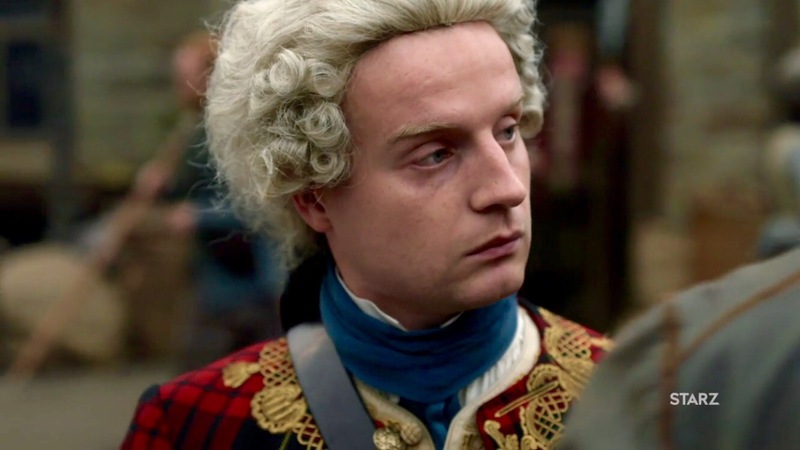 Four years ago, it was formally declared he would be playing the beloved character Jamie Fraser in the Outlander Starz television series being adapted from the much-adored Outlander book series by Diana Gabaldon. His life and ours has never been the same. Today when Sam was ready to chat under #AskSam, he set the social media set on fire with 1,481 replies. Even the King of Men cannot answer that many questions! I edited for punctuation and spelling to make for easier reading. Enjoy! Follow Sam Heughan on Twitter. Happy anniversary being cast as JAMMF /do you own rights to your audition tapes? If so will you share with us OL fans? Sam: I actually saw them recently. Gabs sent them to me. Spooky… black hair Jamie! Hi Sam! Are there any stunt- or action scenes for you in your new project? Sam: It’s an “action comedy!! !” I love stunts…. Is it true ~ did you get your hair cut? Sam: Maybe maybe not. Movie magic?! How do you spend your time on long plane flights sleep/read/study scripts? Sam: Sleep. It’s a great opportunity to catch up! And maybe a wee dram..
Will you do another Barbour event in NYC? Sam: Working on it! Can’t wait for you to see my @Barbour collection for Autumn Winter this year! Do you have anything else in the pipe line but the Spy movie going? Sam: So many projects, in different fields, exciting but hard to keep up! Hey there did you actually get seasick while filming S3? Sam: Afraid not… But pretending to throw up raw eggs quite a few times can set someone off! 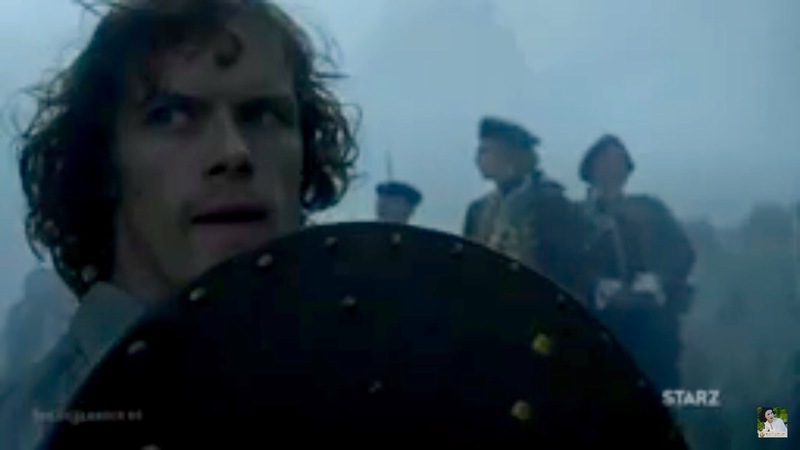 Your FIRST thought on learning that you had been cast as Jamie Fraser? Sam: I was over joyed and didn’t realise what a wonderful adventure it’d be. So so lucky. What’s it like working with Kate McKinnon? Does she keep you lol? Sam: he’s SO cool and funny! What a pro. Would you ever consider an interview/experience with @BearGrylls ? Sam: Where do I sign up? pfft he did. Ask the bucket on the ship deck, he tells a different story… Sam: Didn’t you play the bucket? Does the next @Barbour campaign have pups? How have you managed not to steal one? 12/10 would dognap! Sam: I’m still trying…. Would love one! Any bruises or injuries filming the Spy movie? Sam: Nothing major…. Risky business though! Waiting for @SamHeughan to notice my friends like… Sam: Well…. where are they?! Are you ready for the So Cal heat? 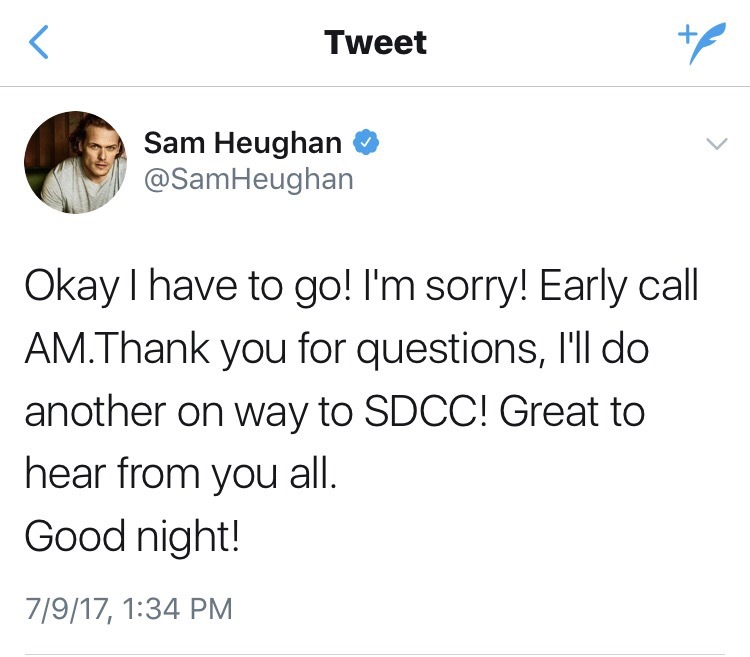 #SDCC2017 Sam: I CANNOT wait!!!!!! So excited for @Comic_Con !!!! Are you dancing at the @MyPeakChallenge Peakers event? Sam: Who’s asking? I’m dancing. Have you ever wanted to play Shakespeare? Sam: I have in the past and would love to be back on stage. Dream meal? Sam: Right now I’ve been craving mexican! Margaritas! Did you ever thought that MPC would reach so many people in the world like it’s reaching now? what do you think about it? Sam: So, so happy, with the research projects we’ve funded and the community and support people give each other. More to do!!! When are you starting to film season 4? Sam: This Fall…. Thank you for always being so gracious. Sam: No THANK YOU!!! You are all amazing. So blessed. @MrStevenCree would be so jealous unless you picked him. Sam: Very quiet from Mr Cree tonight…. suspicious! And that’s a wrap. Due to an early call, he had to bid fans a goodnight. All images are Wiki sourced. Featured image attribution. A wake, a sightseeing tour, memories and revelations, a death, reluctantly to safety she goes, a battle looming, a determination toward death, and a barbecue to pass through the stones. 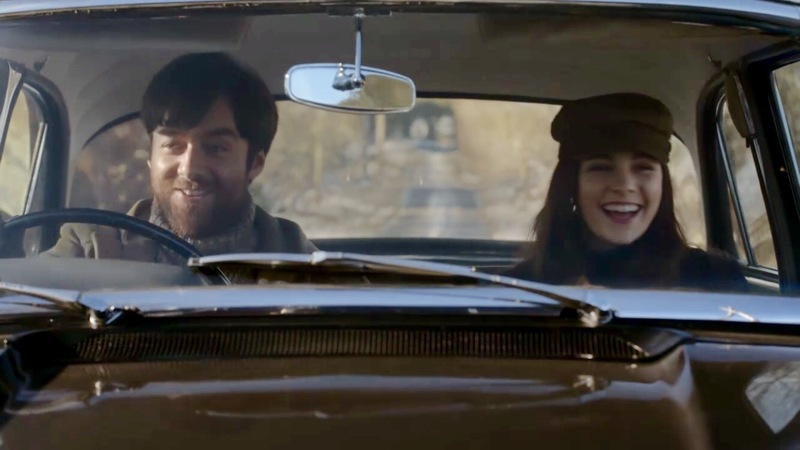 Dragonfly In Amber, the S2 E13 finale, co-written by Toni Graphia and Matthew B. Roberts, is all that and more. You may listen to the podcast directly through this site within a post or through iTunes, Stitcher, and Google Play. Slainte. All pictures are the property of Starz. Visit Outlander Starz on social media, like or follow: Twitter,Instagram,Facebook, and the official website. I appreciate you sharing posts, joining the discussions, and following this website or pages listed below! The planning. The plotting. The preparation. The uprising is moving forward. Prestonpans a battle that will be of historic significance, is here. Prince Charles will not stop. He has his eyes on England herself. Folly it may be. He has a claim to the throne. 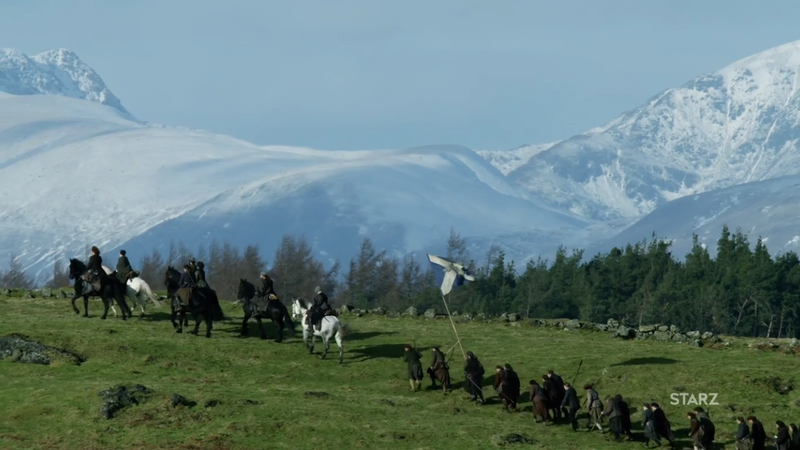 Jamie Fraser has the world riding upon his shoulders. He has the Prince’s trust, and many look to him as a great leader. savvy and strong He is the King of Men after all, and no less is expected. With Claire and his men by his side, he can and will do whatever it takes to get the job done well. I imagine he has his own side plan in play that must succeed no matter the ultimate outcomes. Will he remain in the Prince’s good graces? Will Claire’s foreknowledge continue to be true? What would a win here mean? 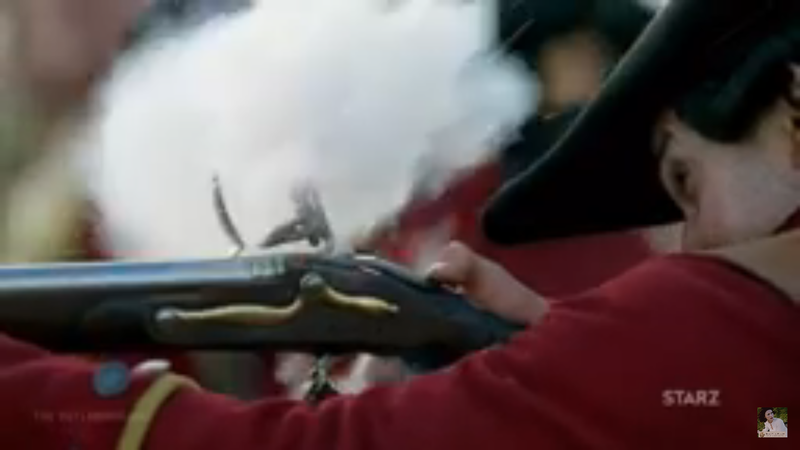 As ready as they can be, into the mist they go to fight the English. From the luxurious and at times cutthroat happenings in France, The Fraser’s have gone home. They did all they could to stop the Jacobite uprising from taking place, but alas, it is now upon there own doorstep. Prince Charles has arrived and war is come to Scotland. The remaining episodes of the season will be steeped in difficult living, fighting, and more grave losses. 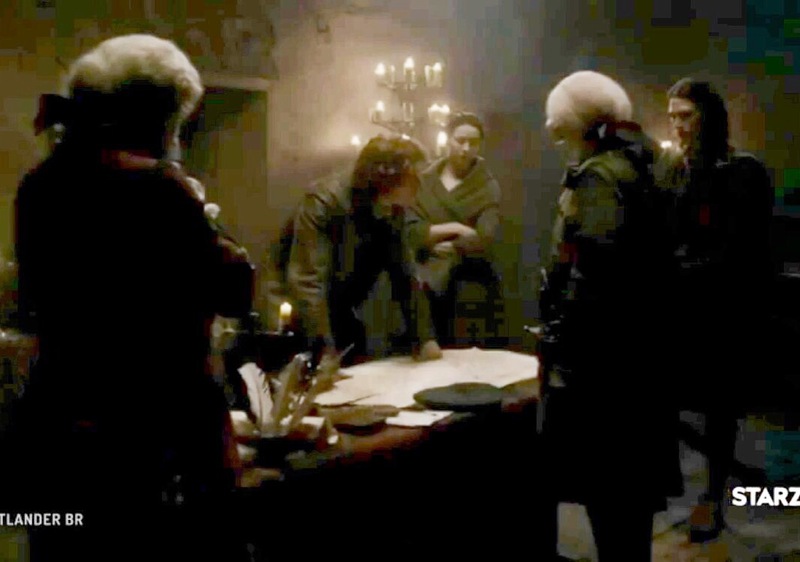 Claire has shared all she knows with Jamie and Murtagh, now all they can do is try to change history for the win. Returning to face the fight are favorites among the many, renowned Jacobite Dougal MacKenzie, Angus Mhor, and Rupert MacKenzie. I wonder what other faces will emerge. Will Mary Hawkins virtue be avenged? Will Black Jack Randall return with one life less? 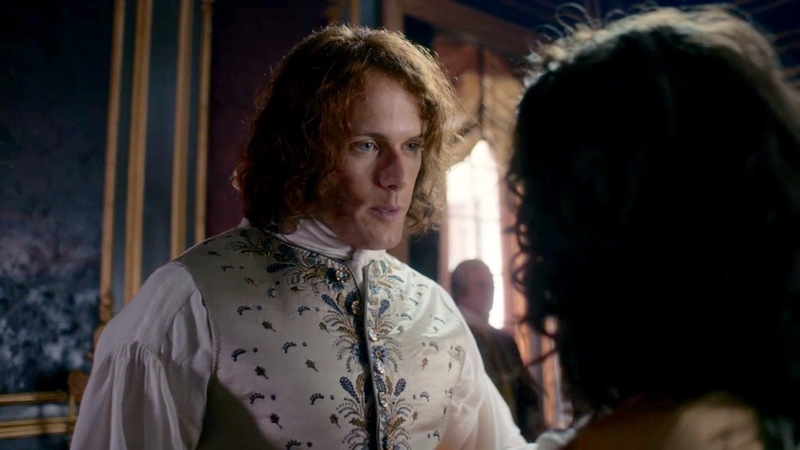 Can Lallybroch be saved now that Jamie is a known traitor? Have we heard the last of Alex Randall? The Duke of Sandringham? I imagine he is playing all sides as before. Those are some of the many questions to be answered in the 5 remaining episodes. Culloden is near and all we can do is wait, watch, and wonder. My favorite screen capture stills are below. For all the images, follow me on Instagram. He’s back. Mark him, he will have an uprising. Scotland, she is exquisite to behold. All images are the property of Starz. Visit Outlander Starz on social media, like or follow: Twitter,Instagram,Facebook, and the official website. Click below to listen to my podcast to hear my full review. Screen caps property of Starz. 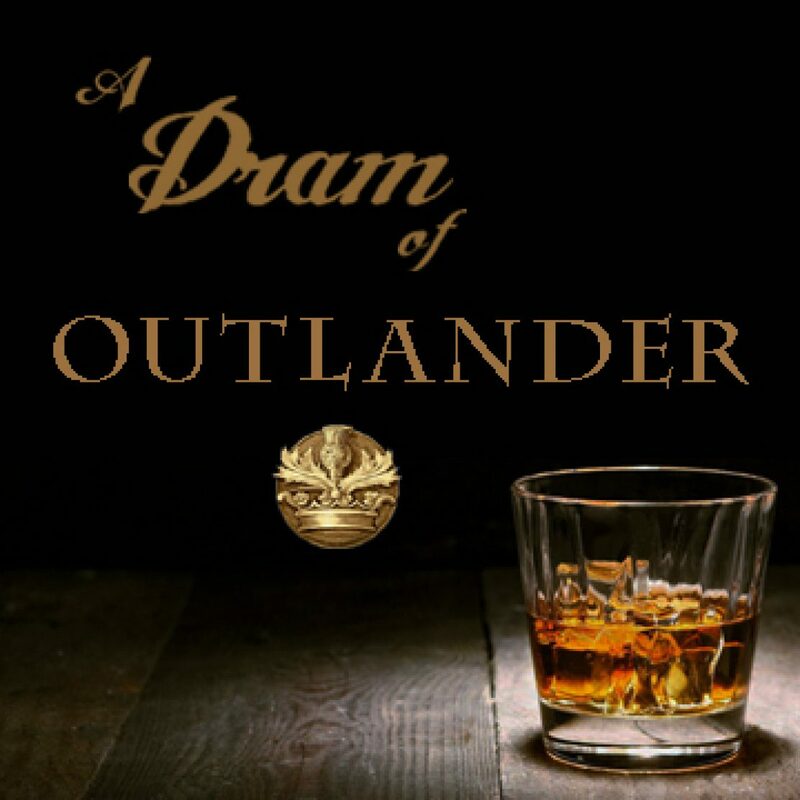 Want to see more A Dram of Outlander? Call 719-425-9444 to leave comments on the show or anything Outlander related.